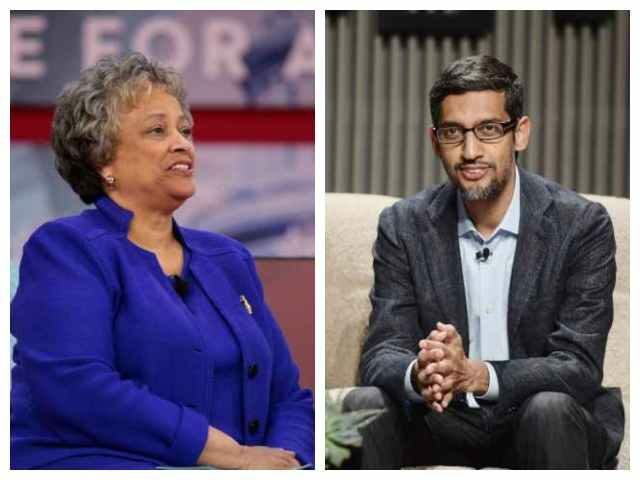 Internal discussion threads exclusively obtained by Breitbart News shows Google employees in meltdown over the tech giant’s decision to include the president of the conservative Heritage Foundation, Kay Coles James, on an artificial intelligence advisory council. Multiple Google employees in the thread also engaged in outright smears against the Heritage Foundation. Google employees accused the think-tank of transphobia, homophobia, and “extremism,” of viewing LGBT people as “sub-human,” questioning their “humanity,” and supporting “exterminationist” views. “You don’t need racists, white supremacists, exterminationists on the board to know their stances. you can just talk to their targets” insisted another. “It’s so upsetting that some of our leaders overlooked such hateful positions as Kay Cole James and the Heritage foundation have articulated and regularly advocate for,” complained another Google employee. “There’s no need to have these people in positions of any kind of authority in order to get their views” wrote another. Another Google employee was so incensed by the Heritage Foundation that he suggested another employee who defended the inclusion of Coles James on pragmatic grounds should lose his job. “It’s not snobbery to object to associating with and legitimizing an organization dedicated to eliminating LGBTQ+ people from public life, driving them back into the closet, denying them healthcare, and so on,” raged the employee. At least one of the Google employees who smeared the Heritage Foundation and its president is a prominent A.I researcher who has attended tech symposiums at the Obama White House. Meredith Wittaker, co-founder of NYU’s A.I. Now Institute and head of two projects at Google, the Open Research Group and the Measurement Lab, is revealed as one of the most vitriolic opponents of conservative involvement in Google A.I. 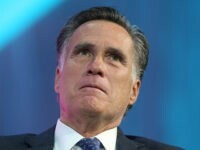 Whittaker also warned that the potential impact of A.I. was too dangerous to allow an “open bigot” like Coles James to be involved. She also used A.I. designed to assist ICE as an example of “harmful” A.I. Whittaker simultaneously recognizes the potentially vast influence and impact of A.I. while arguing that mainstream conservatives like the Heritage Foundation ought to be excluded from any participation in it. Few Google employees offered any justification for their claims, although one linked to a tweet from Coles James in which she expressed support for a number of mainstream conservative positions, including border security, a critique of gender identity, and support for the coal industry. Blake Lemoine, a Google employee who Breitbart News has covered before, also emphasized the political expedience of including the Heritage Foundation’s president on the advisory council. Pointing out that Coles James is “unimpeachable in the eyes of the Republican party,” Lemoine went on to outline the stakes for Google. Only one Google employee dared call out the viewpoint intolerance on display in the discussion threads. Breitbart News has reached out to Google for comment. Update — Some of the messages from one of the internal discussions featured in this piece were also obtained and published by The Daily Caller earlier today. Allum Bokhari is the senior technology correspondent at Breitbart News. You can follow him on Twitter, Gab.ai and add him on Facebook. Email tips and suggestions to allumbokhari@protonmail.com.